President Cyril Ramaphosa has announced the new National Director of Public Prosecutions as Advocate Shamila Batohi at the Union Buildings. EWN's Katleho Sekhoto sits down with Thato Dladla - lead of Oscar-qualified South African film 'The Hangman' - to talk about working in the film industry. EWN's Katleho Sekhoto sits down with film director Zwelethu Radebe to discuss the recent Oscar qualification for his film 'The Hangman'. EWN motoring journalist Jacob Moshokoa takes the new Audi S5 out of town to see what it can deliver outside of the 60 zone. [WARNING: GRAPHIC CONTENT] A man was shot and killed by two men in a parking lot in Welkom, Free State over the weekend. 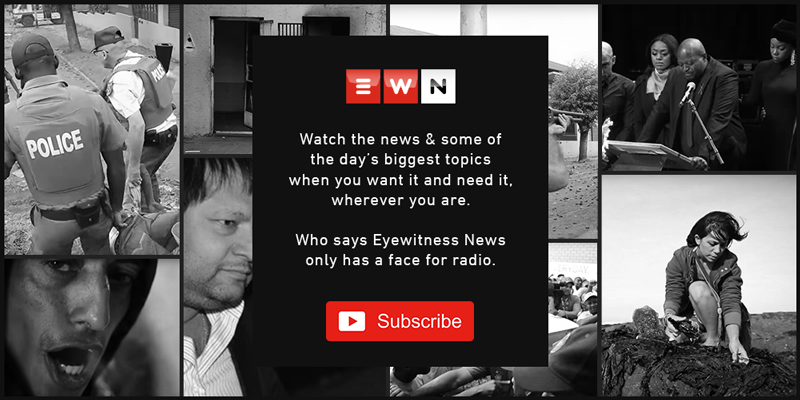 Take a tour with EWN as we go inside one of Johannesburg's maximum security facilities and speak to inmates Kobus Pretorius and Nhlanhla Mlambo on their life behind bars. Members of Black Monday marched to the American Embassy in Pretoria, requesting assistance from US President Donald Trump in stopping what they call genocide. SA Fashion Week went international as it showcased fashion from both local and foreign designers. Duduzane Zuma appeared again in the Randburg Magistrates Court on charges of culpable homicide, only to have the case postponed yet again. SA Fashion week's latest New Talent winner walks the runway after taking 1st prize. The SA Fashion Week New talent search has just revealed its latest winner. A week ago, EWN followed some of the competitors to find out exactly who was in the running. A joint task force performed a search and seizure operation at the Westonaria licensing centre, looking for suspects involved in fraudulent licensing activities. Residents of Reiger Park and Joe Slovo on Gauteng's East Rand battle it out as frustrations over illegal electricity connections and cable theft spiral out of control. Representatives and coordinators of the #ShutdownGauteng movement met with officials from the JSE, delivering a memorandum of demands.